But lets not dwell on the problems we face, because today my friends, is a day to celebrate! Any day that friends can come together and share the gift of food, whether it be in person or virtual, is a very good day. And today is one of those days, as it’s my pleasure to introduce to you, Joan from Chocolate, Chocolate and more. If you’ve never met Joan, but you like Chocolate, this is going to be a match made in heaven! But don’t get worried if chocolate isn’t your thing, because you’ll find plenty of other baked treats to keep your sweet tooth satisfied! Joan is quite the prolific baker! Just be careful not to hit your head on the computer screen while you’re trying to get to those tasty treats, because Joan is quite the photographer too, and she’ll have you drooling on your keyboard as you view those delectable images that shares with us! So get ready for some serious stomach rumblings as I give you……. Hi all! I’m Joan from Chocolate, Chocolate and more. 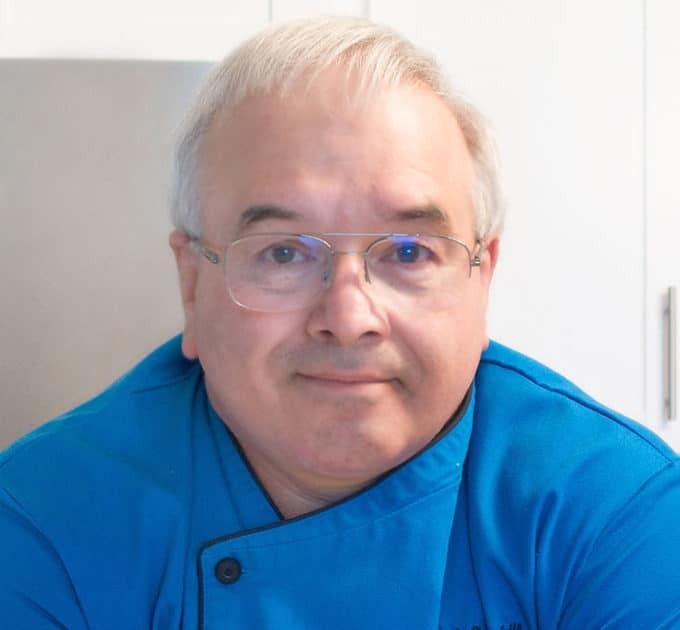 I was so excited when Chef Dennis asked me to come and guest post. If you haven’t guessed by the name of my blog, I love Chocolate. 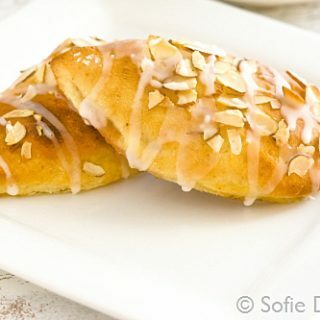 Really, I love all sweets, especially homemade. Baking is what I love to do best. It’s not unusual to find a batch of cookies in the oven or fresh bread on my table. I have no formal training, just being a wife, mom to 3, step-mom to 2 and grandma to 3. A hungry family provides plenty of opportunity for testing out recipes. I sometimes think I’m raising future food critics, they don’t hold back. My youngest today was looking over my shoulder while I was editing some pictures, She started to critique them, and was actually pretty good. I agreed with her on every one, Scary. I love having my kids in the kitchen with me and that’s what got me into blogging. My girls and I decided to bake our way through the summer two years ago. I know they will share those memories (and hopefully recreate them) with their own children one day. I think that’s the true reason to be in the kitchen, whether you’re making the ultimate cake from scratch or just using a box mix to make brownies, cooking at home is such an important part of bringing a family together. 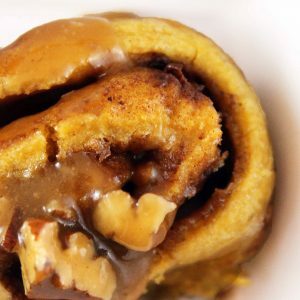 A few of my favorite recipes involve the kids, Buttery Soft Pretzels, Chocolate Covered Everything, Devils Food Cupcakes with Peanut Butter Frosting, Decorating Cookies with Royal Icing and Homemade Caramels. 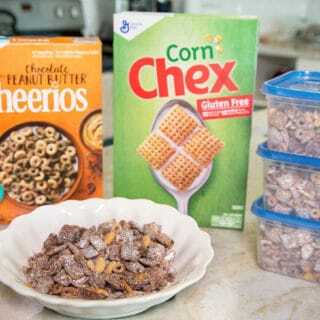 With school back in session, the kids always come home hungry, looking for a quick snack to hold them over till dinner. Instead of them reaching for the bag of chips, I wanted to have a little healthy available, just grab and go. Lightly spray a cookie sheet with cooking spray and set aside. Combine peanut butter and honey in a medium bowl and microwave about 20 seconds, until peanut butter melts. Stir to combine. Add in cinnamon and vanilla, stir again. Add oats and pecans and stir till oats are completely coated with peanut butter mixture. Spread out on prepared cookie sheet. Bake for 10-15 minutes until granola starts to brown. 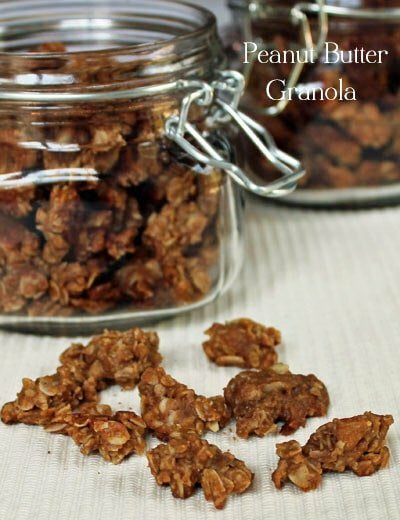 I’ve always had granola on my list of things I’ve wanted to make, thanks Joan for sharing your recipe and for such a delicious guest post! Now before you forget, head on over to Chocolate, Chocolate and more and say hi to Joan, just make sure to tell her Chef Dennis sent you! Just make sure to give yourself enough time to browse through her delicious creations, I know there are going to be so many you’ll want to save to make for your own family! For all my friends that were in harms way with hurricane Sandy, you’re in my thoughts and my prayers. We were spared the brunt of the storm in Philadelphia, but so many along the shore line and northern New Jersey were not. The American Red Cross can always use help, no matter what time of year it is, so if your able send a little something there way, or better yet volunteer if you have the time. Be safe, and be happy! Love this recipe! I love peanut butter and I love cereal. Perfect breakfast! 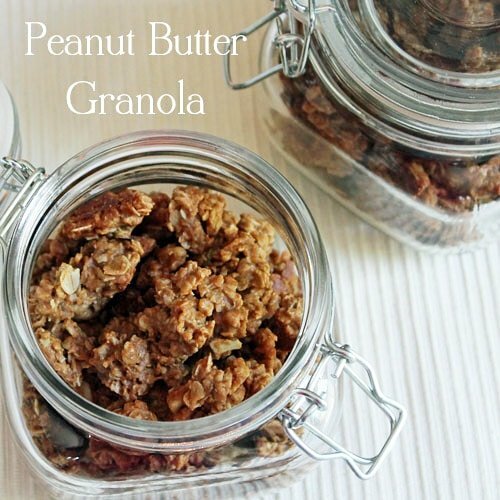 I love Joan´s site and a granola with peanut butter is as scrumptious a recipe as i would expect of her! Another one for my files. Great guest post Dennis! I love Joan and I love peanut butter and pretty much anything else Joan makes. Great guest post! love this simple snack! nice to meet you joan! and chef, those were very nice words about the hurricane. I am new to this sight & seen a ton of things already today that my daughter & I wan’t to try. This was our first & might I say.. Yummy!! We actually used crunchy jiff instead of the smooth.. We love it. It will be a staple in our kitchen. Thank you so much for sharing all of this yumminess!! Chef, thanks so much for the opportunity to guest post here. You’re always such a great supporter in the blogging community and in the G+ world. Glad to hear you’re ok after Sandy, I know several of my foodie friends in the northeast are still without power but staying strong. Your granola looks like the perfect thing to eat while watching cartoons during a “snow day.” BTW, Mr Chef Dennis, I really admire your mission to teach youth about cooking and nutrition. I rant to my friends all the time about how obesity and other ailments could be avoided if people schools still offered “Home Ec” classes and knew how to cook and care for their families.You’re my hero. thank you so much for your kind words Jennifer. I love what I’m doing and working with my girls really makes feel better about the future. Dennis, I’m glad you’re okay and that your charitable heart is already seeking ways to help. That’s what gets people through crises of this nature… helping hands. 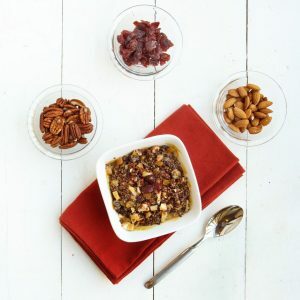 Speaking of that… thanks for featuring Joan’s delicious granola — don’t mind if I help myself to a handful of that! Loved your thoughts on family and future generations cooking together, too, Joan! 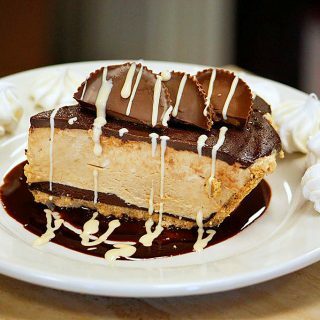 Peanut butter and chocolate is a match made in heaven. Glad the oats are in there so I could eat a bucket of these and not feel guilty. Well, maybe a little, Oh well. 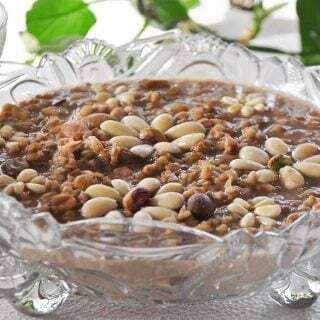 Chocolate Peanut butter and Oats – my mother would love this in her Christmas stash. Chocolate, chocolate and more chocolate! I am in! Love Joans blog. This granola looks fabulous. Thanks for sharing. Aw I love Joan! And I love this granola!!! Yum!